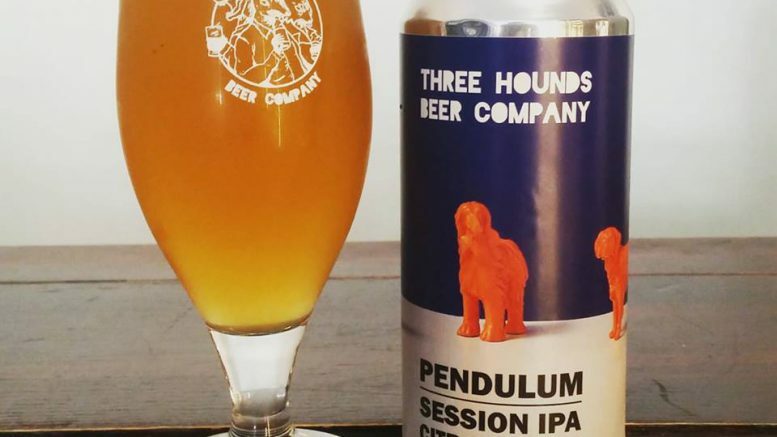 An independent craft beer bottle shop in Beckenham, the Three Hounds Beer Co, recently launched its very own debut beer. The new brew, which is called Pendulum, was unveiled at a launch event on November 9 at Venue 28. Matt and Emily of the Three Hounds Beer Co – which is located a few doors down from Clock House station – created the beer and then bought the recipe to Brockley Brewery in October, using their kit to get the beer to a commercial scale. Matt told News in Beckenham: “The beer is a west-coast inspired session IPA and features an array of fruity flavours, such as grapefruit and citrus, with a bitter kick towards the front of the palate, reminiscent of classic piney American flavours. The brew finishes on a lovely jammy note which ties all the aroma and flavour profiles together nicely. “The launch was a huge success, with food from Fusé and live music from talented local musicians Adam Hope, James Daniels, Erica Stone and Jack Bowden. It wouldn’t have been what it was were it not for the support from family and friends with the running of the event, and also the overwhelming support from the Beckenham community. Be the first to comment on "Local craft beer shop launches debut brew"